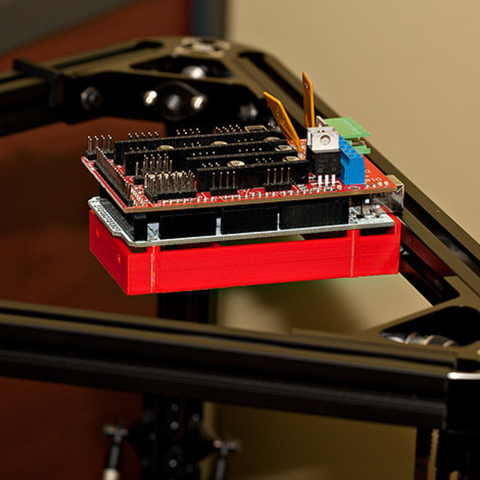 Here is a common sense and quick-printing bracket designed to allow easy access from outside to the USB and Power connectors of an Arduino/RAMPS in an T-slot extrusion machine design. The bracket designs for 2020 (20mm), 1515 (15mm) and 8020 (1") are provided for download, but the OpenSCAD source is also included for those wanting to fully customize this. The PCB mount holes are meant to be self-threading for M3 screws (M3 6mm should be sufficient but wood/plastic screws work here too). The screws that mount into the extrusion are M3 for both 2020 and 1515 and 1/4" for 8020 (but can be fully customized, say for example if you want M4 or M5 on 2020). 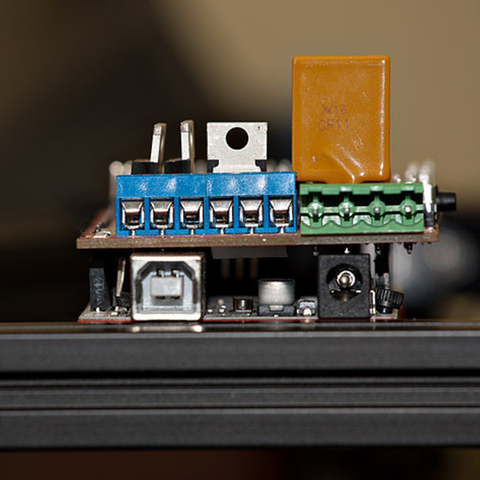 I needed a bracket for my 2020-based delta but found out most brackets on Thingiverse ignore the USB connector or place the board in an odd orientation or are simply too complex for the job. It's designed in OpenSCAD and it's parametric, 1.2mm walls seem to work but 2.4mm work better. 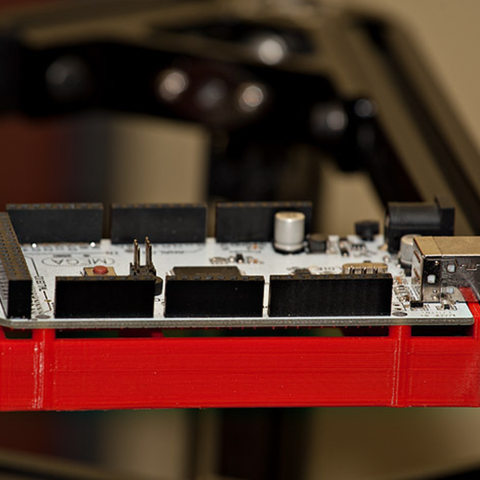 There are two ways to mount it: either inline with the extrusion or on top of it. 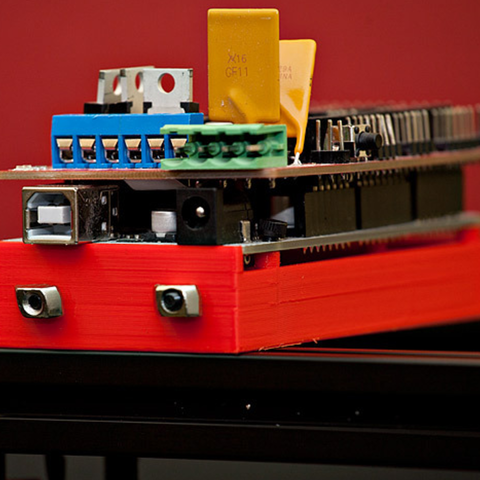 The aligned holes are for hex key to reach to the screws without taking the arduino off.